Marie's Postcard Collection. 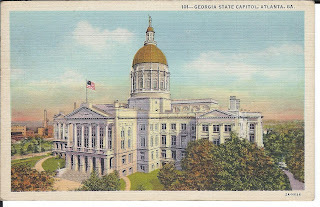 This is the Georgia State Capitol. 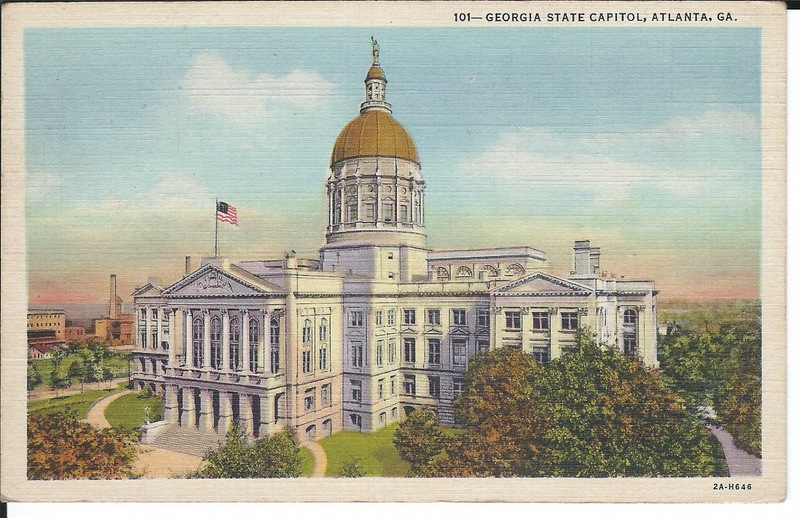 See the Golden Dome? That base was made from gold that was mined in near Dahlonega, in north Georgia. That is bragging rights for our place in history in the Trail of Tears Episode.